EghtesadOnline: Britain’s Secretary of State for Foreign and Commonwealth Affairs Jeremy Hunt is to visit Tehran on Monday at the head of a political delegation. He is slated to meet his Iranian counterpart, Mohammed Javad Zarif, as well as a number of other top officials during his one-day stay, ISNA reported. 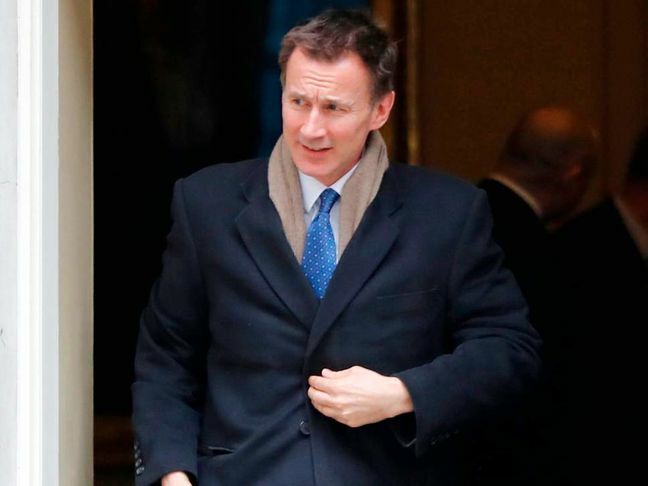 Hunt is also scheduled to attend a meeting with Ali Shamkhani, secretary of Iran’s Supreme National Security Council, in which they are expected to discuss key bilateral, regional and international issues of mutual interest. This is Hunt’s first visit to Iran after taking office in July. He had earlier talked on phone with Zarif in November to discuss the latest developments concerning the 2015 nuclear deal between Iran and six world powers. He had announced London’s commitment to the deal, calling for the immediate implementation of mechanisms to protect Iran’s interests, according to Financial Tribune.